It’s one of our specialties. Since 2007, Black Dog Graphix has designed and installed stunning vehicle graphics and wraps for individuals, businesses, national franchises, municipalities, transportation agencies and clients throughout the country. Wraps are the ideal way to provide a uniform look for small to large fleets of vehicles or make your personal ride stand out! There are 2 primary types of wraps. Those that are for advertising and those that are meant to change the look of your vehicle. Advertising wraps are fully-customized graphics designed to include your organization’s logo, contact info, and graphics that can cover the entire vehicle or just specific areas. If you choose to make use of graphic elements such as image files and text, our design team can ensure that they are of appropriate quality and will reproduce well on a large scale. Wraps also provide a unique solution to change the look and color of your vehicle. Matte, gloss, & satin finishes, camo, chrome, carbon, brushed metal, even alligator textures, and colors can be applied that just can’t be replicated with paint. If you are looking for a truly unique look then we have the wrap solution for you! Wraps are a unique product requiring professional installation and special care. Our installers are trained and certified to provide the best quality results. We stand behind our work with a 12-month performance guarantee and offer supplies and instructions to care for your wrapped product. Vehicle Wraps are 80% more cost effective than paint and provide many more benefits. Why choose to pay thousands on paint when you can get the same look with a wrap? A wrap provides years of protection against mother nature, road debris and sun damage. When you remove your wrap after years of protection, your original paint will look as good as the day we installed it. We offer over 150 colors of vinyl wrap from the leading suppliers in the industry. Whether you want a matte finish, a gloss finish, or a metallic finish we can provide you with the look you want. Did we also mention you can have your wrap customized with any graphic you can imagine? A wrap is one of the best investments you can make in preserving the resale value of your vehicle. On average, a car that was protected with a wrap sold for $3,000 more than a vehicle without. If you have a vehicle you are trying to sell that has damaged paint, we can wrap it so you get the most out of the sale. A Branded Vehicle Wrap is the easiest way to boost your company’s sales by 20%. Your company vehicles are mobile billboards and seen by thousands of people a day. Just imagine if only 2% of those drivers gave you their business, would it be worth it? 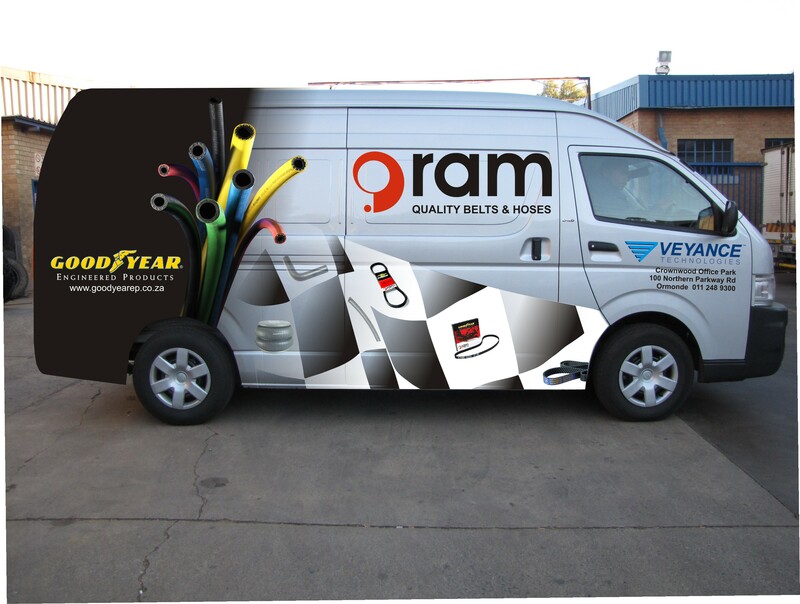 We make the finest Commercial vehicle wraps Johannesburg has to offer. We stand behind our product and our services. We offer 1 year limited warranty on the installation (excluding but not limited to specialty vinyls such as carbon fiber, brushed steel and chrome).